Festival Mediterranea's Mattia Preti tour which took place last Saturday 9 November received an excellent review on the Malta Independent on Sunday of the 10 November. The article was penned by Editor Noel Grima who attend the tour which was led by Mark Sagona. The full piece is being reproduced below. The organisers of the Festival Mediterranea came up with a genial touch this year, the centenary year of Mattia Preti. Led by art historian and lecturer Mark Sagona, a group of art lovers and other interested persons spent the whole morning in a Vizti tas-Seba Knejjes (or rather five) looking at paintings by Mattia Preti or his bottega or his followers and thus understanding even better Mattia Preti in the context of his time. Of all the public lectures I attended in this Preti year, this was the one, I felt, that explained Preti best in his context and looking up close at the paintings themselves. In this way we could understand Preti better within the context of his influences and see, then, how this Calabrian artist in turn influenced art in Malta. Born in Taverna, Calabria, Preti followed his brother Gregorio to Rome. Rome was then the centre of art in the reinvigorating years of the Counter-Reformation. There, Preti fell under the influence of the Bolognese school. He may have visited Venice where he came under the influence of the great Venetian artists of his time, from Titian to Veronese. By 1640, Preti had become a well-known artist, being commissioned to paint the choir of San Andrea della Valle, along with other commissions. Then, maybe pushed by the intense competition in Rome, he went to Naples, which had just lost its greatest painter, de Rivera and was yet to get Luca Giordano, who was still very young and was influenced by Preti. By that time, Preti, who came from a noble family that had seen better days, had come to know about the Order of St John and had already become a Knight of Obedience through the Pope. The story is well-known how Grand Master de Redin, from Aragon, wanted a painting of St Francis Xavier for the Aragonese chapel in St John’s and how the Order’s procurator in Naples commissioned Preti. He was later commissioned to paint the altarpiece for the same chapel and he came to Malta in 1659 with this masterpiece. It was on this visit that he was commissioned to paint the vault of St John’s to progress to the next stage – knight of grace. While painting St John’s, he also took other commissions, the first one being the altarpiece of the church of St Nicholas, tal-Erwieh, in Merchants Street. With fame, came more commissions, and to deal with all the work, Preti set up his own bottega where he employed assistants, at least one slave and a nun, Suor Maria de Domenico. Preti’s timeline can also be subdivided into those paintings he painted by his own hand, those in which he did most of the painting with the bottega filling in, those where the work was mainly done by the bottega and those purely by the bottega. In a way, as Preti grew older, he tended to rely more and more on the bottega. The first church to be visited, for logistical purposes, was the church of St Augustine in Victoria where the main altarpiece dates from Preti’s last years. Stylistically, this painting seems to be mostly by the hand of Gioacchino Loretta, one of Preti’s assistants, though Preti seems to have added some proper touches. Other paintings by Loretta include a painting we were to see later at the old Xewkija church, and the altarpiece of the church of Our Lady of Sorrows in Pieta. Other paintings that may be ascribed to Loretta in collaboration with Preti include the main altarpiece of the parish church of St George in Qormi, one in Lija, St Francis in Valletta and the Mdina Cathedral where the side paintings are by Loretta. This painting at the St Augustine church in Victoria was commissioned by Giovanni Gourgion, who owned a tower that was later dismantled to make way for an aerodrome in the last war. He was the ‘secreto’ of Grand Master Caraffa and commissioned other paintings in other Gozitan churches. Next to be visited was the Cathedral church, where the group could admire a beautiful painting by Giuseppe d’Arena, done in 1707 as the church was being rebuilt by Lorenzo Gafa after the 1693 earthquake. 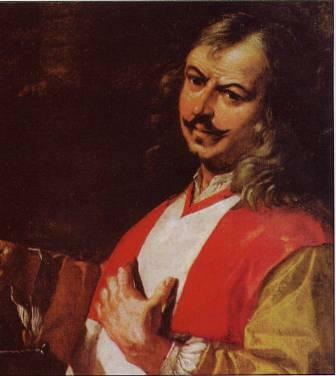 Giuseppe d’Arena first appears in 1666 when he got married in Valletta and was greatly influenced by Preti, as can be seen by the way his painting, the “Institution of the Eucharist” was greatly influenced by Preti’s painting in the Oratory of the Blessed Sacrament in the Porto Salvo church in Valletta, painted in 1673. Two other paintings by d’Arena are the lunettes in the Chapel of Auvergne in St John’s. The third visit was to the oratory of the Xewkija church, or rather what remains of the gloriously baroque church pulled down to create the huge church in the 1960s. A story, probably a legend, said that Mattia Preti had been commissioned to paint the altarpiece but Bishop Molina liked it so much he took it with him when he was appointed bishop of Lerida in Spain and Gioacchino Loretta was commissioned instead. The fourth visit was to the Nadur parish church where the altarpiece is by an unknown author who seems to have followed Preti to the extent that he worked from a Preti cartoon. The original Preti painting is in the chapel of St Peter in the Jesuits’ Church in Valletta, again from the early 1660s. One mystery still to be unravelled regards what happened to the Preti cartoons after his death. The lateral paintings in the choir of this church are by Don Carmelo Dimech, a priest from Zebbug who came to reside in Nadur and also painted the titular altarpiece of the Xaghra church. The final church to be visited was St George’s in Victoria, a veritable treasure house of 18th century religious paintings. The titular altarpiece is definitely one of Preti’s best, done mostly by him (although Mr Sagona much prefers the vibrant horse in St John’s). This painting, which dates from 1678 and was commissioned by Governor Francesco de Cordoba, is excellently preserved even though the dome had collapsed in the 1693 earthquake. The painting was done by a chastened Preti after the 1676 plague that killed hundreds. Over time Preti lost the exuberance and colour of his early years and his paintings became more sober, more meditative. It was in thanksgiving after the plague that Preti designed the Sarria church in Floriana and painted all the paintings in it. It is interesting to note that the St George in this painting is then copied by Preti himself as St Michael in a painting he did for his hometown of Taverna in 1680. The two lateral paintings in the choir in St George’s are by Francesco Zahra, done in 1763 but clearly knowing they would be in the vicinity of the Preti masterpiece. The painting in the side chapel of the Virgin and the Holy Souls dates to 1688 and is mostly by the bottega, while the one facing it is the oldest painting in the church and is by Giuseppe d’Arena, The Raising of Lazarus, the only altar in Malta dedicated to Lazarus, taken from a Rubens original which d’Arena maybe saw in a print. The last chapel on the right has a Mystical Marriage of St Catherine of Alexandria by Stefano Erardi, which can be compared to the altarpiece in the Cappella d’Italia in St John’s. Although a contemporary, Erardi kept himself aloof from the Preti influence. He was commissioned to paint the Adoration of the Magi in St John’s when Preti was in charge of the redecoration of the church. On top of this painting is, Mr Sagona said, one of the most beautiful paintings in the church, unfortunately it cannot be seen because it is too dark and too high up. The 12th edition of Festival Mediterranea comes to a close on Saturday 16 November with the Annual Grand Symphonic Concert by La Stella Philharmonic. The concert, which starts at 7.30pm, will be held at Teatru Astra. Entrance to the event is free of charge.